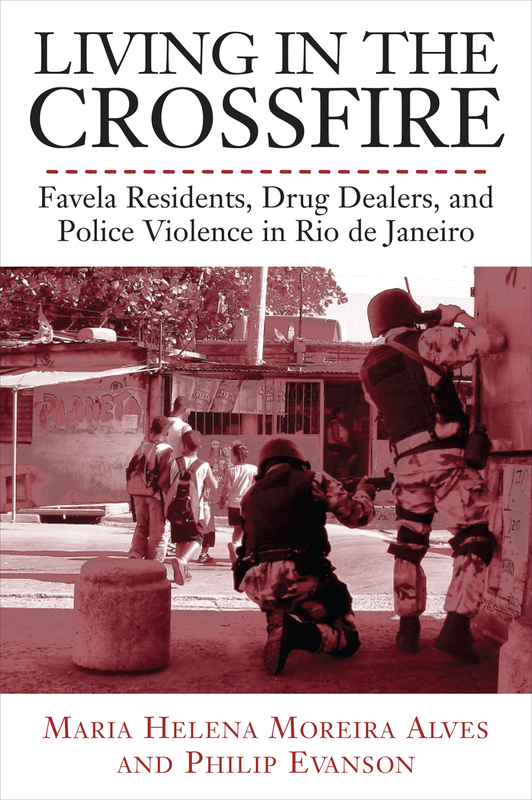 In this moving blog entry, Maria Helena Moreira Alves recounts the inspiration for Living in the Crossfire , her book (co-authored by Philip Evanson) about favela residents in Rio de Janeiro and the violence they encounter every day of their lives. We dedicated our book, Living in the Crossfire to the “Mothers of Acari” in recognition these women’s untiring search for their disappeared children and their tenacity in seeking justice and due punishment to those responsible for this horrific crime. This crime occurred July 26, 1990, near the town of Acari, in Rio de Janeiro. Eleven young people were kidnapped by military police, tortured, raped, and their bodies were disappeared. According to many accounts, the dismembered bodies were fed to crocodiles and black panthers that were kept by a member of the local militia. Because of their fight for justice, the mothers themselves were persecuted and threatened. One of the mothers, Edméia da Silva, was murdered on July 20, 1993, after she visited a state prison to interrogate a key witness. More than 20 years have passed and none of the guilty were brought to justice. The case was clearly abandoned until the crime described. Because of this, Marilene Lima de Souza, mother of Rosana de Souza Santos—who was only 18 at the time of her disappearance—has asked for international solidarity. Amnesty International has taken the case by asking the Brazilian judicial system to re-open and carry out the investigation. In 2000, we began to work with NGOs of Rio de Janeiro dedicated to social and educational projects in different favelas. Through this connection we became personally acquainted with community leaders and residents of the favelas that worked with these NGOs. We were struck by the accounts of violence by drug dealers, who acted as “owners of the areas”—the hills where they reigned to enforce their law. What was most shocking, however, was to learn that members of the security forces—particularly the military police and their elite troop, the BOPE—were the chief allies of the drug lords. In many cases, the drug lords were replaced by militia under the command of military police who took over the job of terrorizing the population; sold favors as “security guarantees;” received payment from drug dealers to allow them to continue their business; and also monopolized services to the residents—such as gas distribution, cable television, electricity, radio transmission and even mail delivery and transportation. Much like the Mafia, these groups enforced their power by the use of extreme violence both against the drug dealers and against residents. The reaction of the governments of Rio varied from non-involvement to repeated but ineffective raids into the favelas that resulted in the deaths of more innocent people than arrest of the guilty. In 2007, the government decided on a policy of all out war and moved into areas heavily inhabited with the full force of armored vehicles similar to tanks, machine guns and even helicopters firing directly against residential areas without definite targets. At that point many people we had known in the favelas asked for solidarity. They stated that they no longer could trust or believe in the government’s actions and only solidarity from the international community could make their voices heard—heard so loud that the local government would be forced to listen to them and change their policies. In this regard, they agreed to provide us with the stories of their lives. We heard so many heartbreaking stories—particularly of mothers and of children— that we were unable to publish all of them. However, the stories contained in Living in the Crossfire were chosen because each represents many others and hence their voice is multiplied a thousand times. We hope that our book, and the speaking tour we are undertaking in prestigious universities in the United States, will help develop the international support that can make the dreams of the residents living in the crossfire come true: A dream that justice can be achieved in Brazil; a dream that democracy will become a true fact for all people; that the Brazilian Constitution will be valid and enforced by those in government; and that the human rights of all citizens, particularly the most vulnerable citizens residents in the favelas, will be indeed respected. 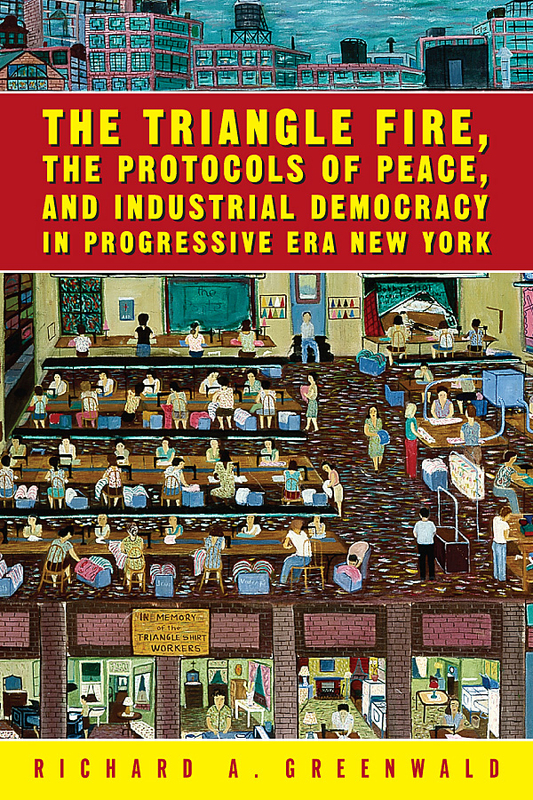 In this blog entry, Richard Greenwald, author of The Triangle Fire, the Protocols of Peace, and Industrial Democracy in Progressive Era New York recalls the horrors of the Triangle Shirtwaist Factory Fire and the lessons this tragedy offers us today. March 25th, will be the 100th anniversary of the Triangle Fire. On that day, 146 mostly, young immigrant women died in a terrible factory fire, a fire that changed America. We as a nation love stories where out of disaster comes triumph. And, while the nation learned a valuable lesson from the fire, it was a lesson, frankly, it did not need to learn, at least not this way. That day was a Saturday, like many other work days, in a 60-plus hour work-week. Workers found themselves behind sewing machines, toiling for 12-hour days. They were charged for electricity, needles and any damages. The working conditions were, by any measure, subhuman. The factory in question was notorious. The Triangle Shirtwaist Factory was the largest factory of women’s shirtwaists, blouses. During the 1909 strike, the Uprising of 20,000, Triangle resorted to violence, hiring thugs and prostitutes to viciously assault pickets. While almost all other shops in the industry settled with the union, the International Ladies Garment Workers Union, Triangle refused. Many wondered if the strikers had been successful at Triangle how many of those 146 might have survived. Many union members knew the answer and demanded that their fellow workers not be forgotten, that they not die in vain. Because of their demands, visible on the streets of New York as tens of thousands of workers participated in a mass funeral days after the fire, pressure mounted. Those protests led the State’s political machine, Tammany Hall, to take notice. The Democratic Party, long in control of the state, passed legislation creating the Factory Investigating Commission. That commission, co-chaired by Al Smith and Robert Wagner, made recommendations to transform the state’s labor, building and fire codes. They investigated working conditions and workers’ safety and health. Unlike many similar commissions, because Smith and Wagner controlled the state legislature, as Smith was Assembly Speaker and Wagner was majority leader of the Senate, they forced 36 of the recommendations into new laws. These laws made New York a model of progressive reform. These laws protected workers and gave unions a legislative friend in the urban Democrats. The fire taught that city, state and the nation a lesson: that the state had a responsibility to protect workers and that an unchecked free market system might not be fully compatible with democracy. Frances Perkins, then a young social worker but soon to become chief investigator of the Commission and then Commissioner of Labor for New York and then Secretary of Labor for the US, recalled the Triangle Fire and the starting point for New Deal. But, we might have lost that lesson. This year alone 5,000 workers will loose their lives on the jobs. Many of these deaths are preventable, through better and more rigorous enforcement of current laws. Mine disasters, oil rig explosions, and construction workers falling to their death are all too common. We find in postmortem investigations, that regulations were either inadequate or simply not enforced. We have slashed the budgets of regulatory agencies to the point that they can not function. How many more workers need to die before we come to our senses? Do we need another Triangle Fire? I hope not. I hope that we can learn from history. So, on the 25th, I hope you all stop, remember and act on the lessons of the fire. There are 146 workers that died, let’s not let them have died in vain! As book publishing moves steadily into the digital age, Temple University Press is pleased to announce that two major university press e-book initiatives—Project MUSE Editions (PME) and the University Press e-book Consortium (UPeC)—have joined forces. The result of this merger—the University Press Content Consortium (UPCC)—will launch January 1, 2012. The partnership allows e-books from an anticipated 60-70 university presses and non-profit scholarly presses—representing as many as 30,000 frontlist and backlist titles—to be discovered and searched in an integrated environment with content from nearly 500 journals currently on MUSE. Representatives of UPeC and PME worked closely with librarians over the past two years to develop a scholarly e-book model that benefits both libraries and presses. Incorporating extensive research and feasibility analysis from both groups, the UPCC Collections will be sold by MUSE in comprehensive and subject-based collections, with minimal digital rights management. Research on the feasibility of a university press–based scholarly e-book initiative was commissioned by the UPeC directors in 2009 with grants from the Andrew W. Mellon Foundation. Working from the outset with two groups of highly experienced consultants—Informed Strategies, which surveyed the needs of the library community, along with Chain Bridge Group, which developed and tested the business model—UPeC began its search for a business partner three months ago. While a number of potential partners offered exciting opportunities, JHUP’s success in balancing the interests of publishers and librarians informed UPeC’s selection of MUSE, according to Maikowski. Content integration, collaboration, and sustainability have emerged as watchwords from this new alliance. About the University Press e-book Consortium (UPeC) The University Press e-book Consortium (UPeC) emerged in 2009 to explore the feasibility of a university press–based e-book initiative. Five press directors serve as UPeC principals: Steve Maikowski, New York University Press; Alex Holzman, Temple University Press; Marlie Wasserman, Rutgers University Press; Eric Halpern, University of Pennsylvania Press; and Donna Shear, University of Nebraska Press. UPeC planning and development was supported by two grants from The Andrew W. Mellon Foundation. About Project MUSE Project MUSE is a leading provider of digital humanities and social science periodical content; since 1995, its electronic journal collections have supported a wide array of research needs at academic, public, special, and school libraries worldwide. MUSE is the sole source of complete, full-text versions of journal titles from many of the world’s leading university presses and scholarly societies, with over 100 publishers currently participating. The Chronicle of Higher Education also reported on this initiative in an article posted on their website here. 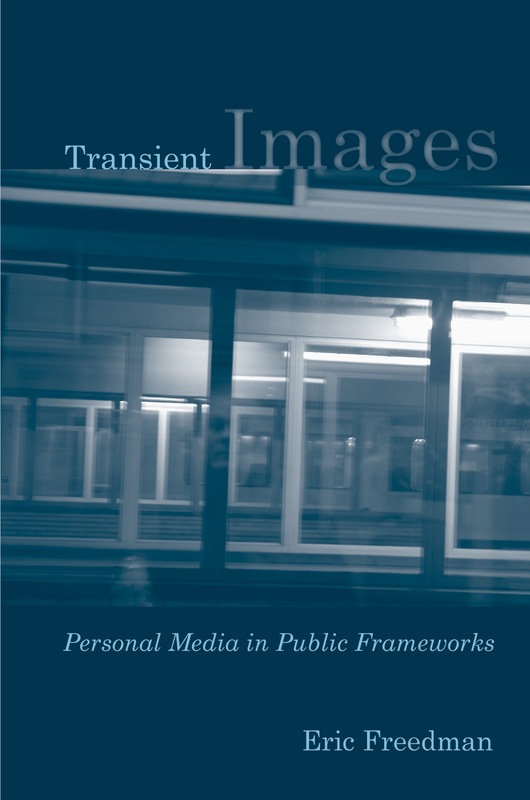 In this blog entry, Eric Freedman, author of Transient Images explains how we reveal ourselves using certain technologically mediated acts. Like many of my colleagues, I save documents that have long since served any practical purpose. I find this tendency not simply in my professional life, but also in my personal life. Not surprisingly, I am simultaneously fascinated and horrified by A&E’s Hoarders, which surveys the piles of memorabilia and junk that litter the homes of individuals who simply don’t have the means to dig themselves out. I attach this fascination to local news reports of “houses of filth” that dot the south Florida landscape, where things seem destined to rot and decay because of the persistent humidity, or seem destined to be swallowed up and returned to the swamps of this low lying region. Hoarders jolts me into action, and I often find myself digging through my closets at the end of each episode, determined to throw out more of my stuff. One of the bins I came across recently contained many of the printed personal ads from the LA Weekly, ads that I had answered back in the early nineties, before the rise of on-line dating. What I find amusing about these ads in general, and what inevitably drew me to reach out to these particular advertisers when they chose to first publish, is the manner in which people (including myself) desperately try to sum themselves up in a catchy header, advertising themselves according to type and making generous use of common cultural reference points. Those earliest musings about cultural detritus, thinking about and engaging with the matter lodged all the way at the back of local tabloids, is perhaps what led to the project that came to be known as Transient Images. Collapsed signifiers, the narrative shorthand of the cultural and technological imaginary, are the tools we all use to frame ourselves, as we constantly negotiate between our private and public selves, willfully allowing certain aspects of self to emerge as visible code, while keeping other aspects of self unseen (perhaps we imagine a core persona that will forever escape translation). This too connects the act of revealing ourselves to certain technologically mediated acts of transcription; for anyone involved in Web design, this possibility of a dual attention to surface and depth is best known as the ability to switch back and forth between two entangled views—design and code. It is not surprising that as print ads gave way to on-line ads, and personal scripts were mapped onto slick industrial templates (code-driven interfaces), the grammar of self-disclosure and self-expression evolved but the tactics remained largely parallel. There seems to be a fundamental belief that we can glue these narratives about ourselves and our entangled others together— that our endless reading of profiles and images yields some form of progress, a continuity brought about by the insistent impulses of an integrated subjectivity and a desire to believe in development. Implicit in this act of binding is the ideological notion that our passage through time will lead to something; and this possibility also produces a certain degree of anxiety. The hoarder of physical objects is also a hoarder of concomitant mental attachments. The objects are often saturated with the residues of nostalgia, even if the things themselves are literally refuse. The fragrance of memory masks the odor of decay. Fear is a response that is intimately bound to transience, for beyond the transient artifact, transiency is a matter of the human condition. The loss of a unified textuality is echoed in the loss of a unified subject position, and this experience gains greater momentum in an age of hypermedia, as we become ever more acutely aware that time proceeds with or without us. Perhaps the sheer volume of documents about us makes synthesis an impossible task. I have given up trying to weave a cohesive narrative about myself on Facebook, as the constant addition of images in which I am tagged (images added by friends) makes my photo stream wider but less focused; I am losing control over my sense of self, even though there are more records of my actions. And my iPhoto album contains far too many photos for me to catalog properly, even though Apple continues to develop new methods for sorting my inventory. While taking pictures is a technological act, it is also an emotive one; and while the process may be bounded, it also produces a horizon. Transient Images attempts to unravel our tenuous yet purposeful attachments to the myriad objects of contemporary visual culture that we produce and consume, and examines the passionate relationships we develop with these machines of projection. 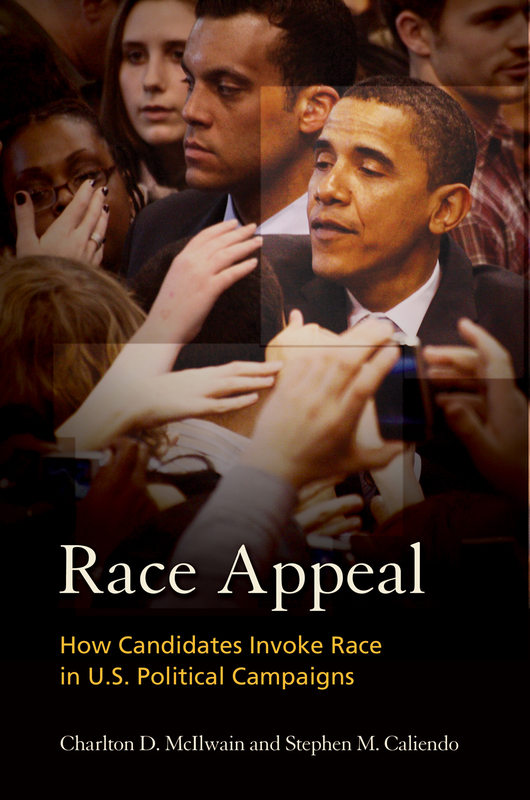 Charlton McIlwain, who co-authored Race Appeal : How Candidates Invoke Race in U.S. Political Campaigns with Stephen M. Caliendo, discusses the origins of their book–and why it took so long to write and publish. The seeds of Race Appeal were sown back in 1994, when J.C. Watts became the first Black Republican elected to Congress in the South since Reconstruction (in part because of this ad). In 1996, I worked for Watts’s opponent. Part of my job was to “police” campaign communications; we wanted no one to claim that my candidate “played the race card” like Watts’s previous opponent. That experience initiated my fascination with race, politics, and communication. In 1998, I worked as the communications director for a gubernatorial campaign in Oklahoma. In 1999, I did the same for the state Democratic Party, and the following year party members selected me to be a delegate to the 2000 Democratic National Convention. In 2001, I completed my Ph.D. in communication at the University of Oklahoma (where the largest political ad archive is housed). With my doctoral degree in hand, and my short political career behind me, I moved to New York City. After an extended adjustment period that fall, Stephen and I charted a course for what would become the near decade-long project that produced Race Appeal. “Why did it take us so long?” you might be asking. Good question. There are equally good reasons. There had been more than a decade of post-Willie Horton scholarship and there was still no consensus about what constitutes “playing the race card.” We knew we needed overwhelming evidence to make claims about what does or does not constitute a race-based appeal in political ads. That left us only one option: We had to analyze every available political spot run by and/or against a candidate of color over the past forty years. More than one thousand ads, four three-day-long trips to the archive, and two pilot studies later… You see where I’m going with this. We also committed to determining whether race-based appeals affected potential voters. To do so, we needed to make our own ads. We did. To test the effects of those ads, we needed subjects, preferably a random sample. We also had to do something previous researchers had not done: test the ads’ effect on both White and Black potential voters. Not surprisingly, our grand plan to break new ground in this area of experimental research required money. A National Science Foundation grant was our best shot at the time. We applied. We got denied. We reapplied. Our proposal got stronger, reviewers’ responses became more glowing. One day we opened the letter and read “Accepted!” The problem was that the next line explained that they’d run out of money. But we remained hopeful. We kept revising, and the reviewers broke out the superlatives. “Best proposal I’ve ever reviewed for NSF.” “Don’t know how it can get stronger.” One even remarked that he or she had advised funding so many times that he or she was tired of reviewing the proposal since it seemed no funding was to ever come. We arrived at the same conclusion. That ate up a lot of time. Fortunately, TESS (Time-Sharing Experiments for the Social Sciences) awarded us two in-kind grants, and we conducted rigorous experiments of race-based appeals on a national, random sample of both White and Black participants. We spent all that time waiting, but we didn’t just sit on our hands. As was the case with the political ads, somewhere along the way we decided it wasn’t enough to just look at ads or test their effects. After all, candidates and voters are not the only players in elections. Several scholars’ research targeted the news media as having a significant (and negative) influence on the election hopes of Black candidates. Again, we knew if were going to criticize the news media for how they cover campaigns involving candidates of color, we’d better develop a firm basis for our claims. We analyzed newspaper stories written about the campaigns of Black, Latino and Asian American candidates from every part of the U.S. They were from U.S. House and Senate contests taking place over the course of nearly two decades. More than two thousand stories and several analytical methods later… Again, you see what I’m getting at. Then, out of nowhere, came Barack Obama. Of course, there was no way we could pass up casting a critical eye on the ins, outs and outcome of that historic election. Add to that the most in-depth analysis of racial discourse in immigration ads and a wide ranging case study of racialized media coverage in three historic campaigns, and there you have it. Race Appeal. A groundbreaking work of which we are quite proud. And, one that is, finally, finished!